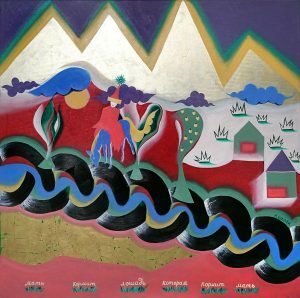 A groundbreaking exhibition series focusing on the contemporary art of Kazakhstan is coming to London next month, seeing the start of the an international exhibition series which will also tour through Germany, the USA and South Korea over the next 7 months. In the first major overview of the country’s contemporary art, Focus Kazakhstan will explore post-Soviet identity through multiple generations, featuring both established and emerging artists working across a multitude of practises. 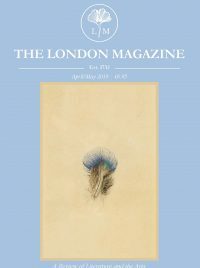 The project launches on the 18th of September at the Wapping Hydraulic Power Station, which will play host to Focus Kazakhstan: Post-nomadic Mind, a collection that explores Kazakh contemporary art as a form of multi-channel discourse, drawing parallels between contemporary artists, their Soviet predecessors, and the newly termed subject matter of post-nomadism. The project will then run exhibitions until March 2019 across Berlin, Suwan, and Jersey City, covering three further continents. Focus Kazakhstan: Bread and Roses, taking place in MOMENTUM, Berlin, from 25th September until 20th October, will look at the work of four generations of female Kazakh artists, dating back to 1945. Examining this work in the light of its stylistic development and its reaction to tumultuous political and social change, this event will also feature a residency programme to allow young, emerging Kazakh artists to present their work on a larger stage. Exploring the concept of “artists as the first collectors”, Focus Kazakhstan: Thinking Collections: Telling Tales will feature an unprecedented survey exhibition of Kyzyl Tractor, Kazakhstan’s most celebrated art collective. From their feverish experimentations in the mid 1990’s and early 2000’s, this collection displays how their work continues to chronicle Kazakhstan’s socio-economic, ecological and political shifts, alongside their signature conceptual and aesthetic appropriations of the region’s nomadic, Sufi, and Shamanistic philosophical traditions. Taking place at Mana Contemporary, Jersey City, adjacent to New York City, from 14th October until 30th November, Thinking Collections: Telling Tales will form a major part of Asia Contemporary Art Week 2018 in New York City. Suwon Ipark Museum of Art in South Korea will host Focus Kazakhstan: The Eurasian Utopia: Post Scriptum from 27th November until 3rd March 2019, a collection of work from 20th and 21st century Kazakhstan artists, their work combining international aspects of modernism with local features of traditional Kazakh culture. This exhibition connects several generations of artists in order to explore the formation and development of the art of Kazakhstan, a key focal point being the theme of ‘local modernity’ in the work and theories of Rustam Khalfin, who is considered one of the fathers of contemporary art in the region. A fascinating insight into the art and culture of Kazakhstan, this series of exhibitions promises to provide a better understanding of a country that many know little about.